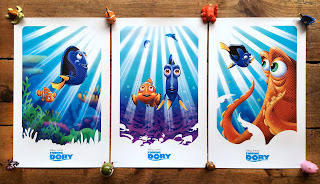 Available now exclusively through Disney Movie Rewards (DMR), here we have this fantastic trio of Finding Dory minimalist style posters by Japanese artist Kaz Oomori! This is the third collaboration between Oomori and DMR, following the work he did inspired by Star Wars: The Force Awakens (which I have, seen HERE on my Star Wars Instagram account) and Captain America: Civil War (which you can view HERE). Each print is 11" x 17" in size. Being a fan of his work, I was so excited to see Oomori team up with DMR once again and was even more excited that it was Pixar themed this time around! 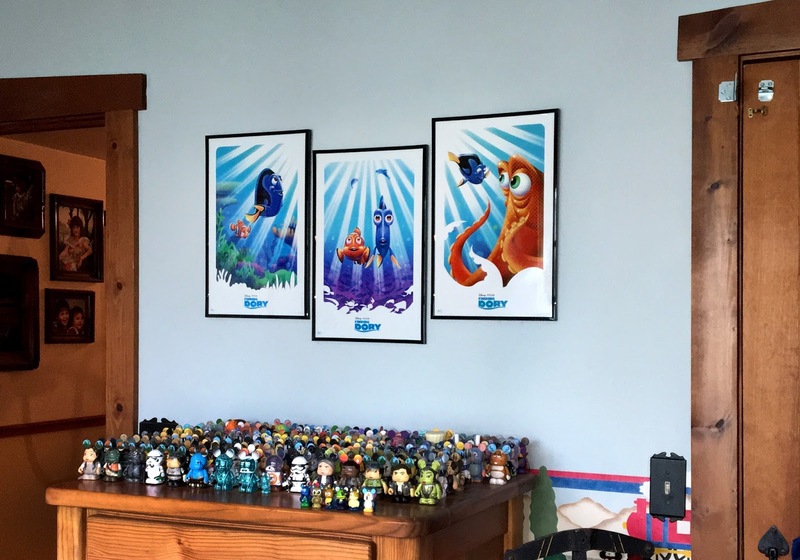 What's really cool is that you get one of these posters (the design seen in the middle in my photo above) for FREE. All you have to pay is $3.75 for the shipping and processing. To order yours, just go to the Disney Movie Rewards website and link your DMR account with your Fandango account and that's it (don't worry, it's simple- the site guides you through the process). That will unlock this exclusive offer. 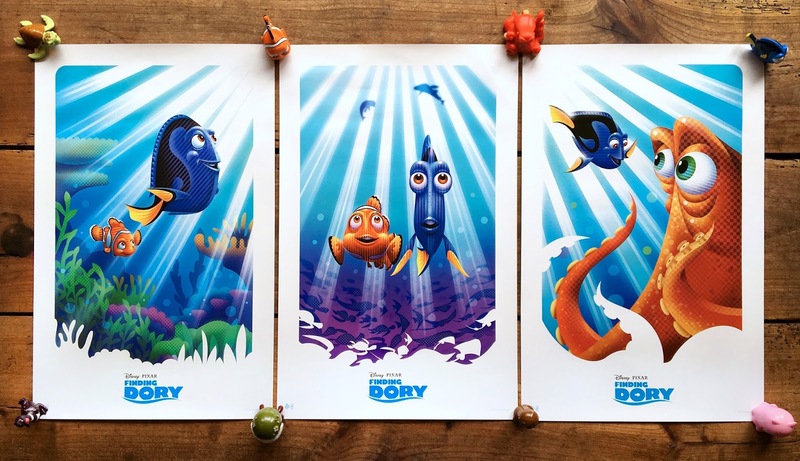 At check out, you'll have the option to order this complete set of three posters. If you opt in for all three, the price is $17.99 (which includes the shipping and processing). Of course being the completest that I am, the one free poster wasn't good enough. I had to get them all. I absolutely love what Oomori did with these designs. His use of color and texture is phenomenal. Congrats to him on this amazing work! If you're interested in snagging these for your collection, make sure to head over to DMR soon as the offer ends July 15th. Don't miss out! Find Kaz Oomormi at his official site HERE and make sure to follow his Instagram and Twitter for future updates.